Attorney Courtney Bhatt’s practice is focused on business defense litigation and administrative law. She represents and defends businesses in many types of matters, including breach of contract, intellectual property, and employment. In administrative law cases, she represents employers before municipal, state, and federal agencies in matters including employment, claims of discrimination and workers compensation. Courtney also represents clients in education and school law matters, including providing assistance regarding School District compliance and representation of special needs clients with IEP related issues. Courtney received a bachelor’s degree in History from Dartmouth College, and has the unique distinction of being one of the first set of identical triplets to successfully graduate from the Ivy League College. In addition, Courtney received a Mellam Family Foundation Scholarship for outstanding community service and academic achievement. Courtney then attended and graduated from Pepperdine University School of Law. In addition to her Juris Doctor degree, she also earned a Certificate in Dispute Resolution from the Straus Institute for Dispute Resolution. While at Pepperdine, Courtney served as the lead student advocate for the Pepperdine Special Education Advocacy Clinic. She also worked as a judicial extern at the Superior Court of the District of Columbia. 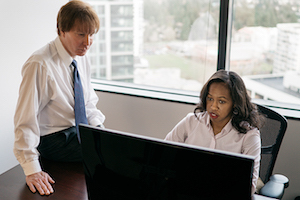 Prior to joining MDK Law, Courtney practiced in the areas of special education law and employment defense in the Los Angeles area. Courtney is originally from Southern California. In her free time, Courtney enjoys spending time with her husband, travelling to California to visit family and friends, kayaking, and volunteering. Successfully settled a lawsuit against a Washington School District, which included reimbursement of attorney fees and costs, and private school placement at the District's expense. Sat as second chair in an Arbitration involving an LLC minority member dispute. In that same case, Ms. Bhatt won a Motion to Disqualify Opposing Counsel and helped negotiate a seven-figure settlement.